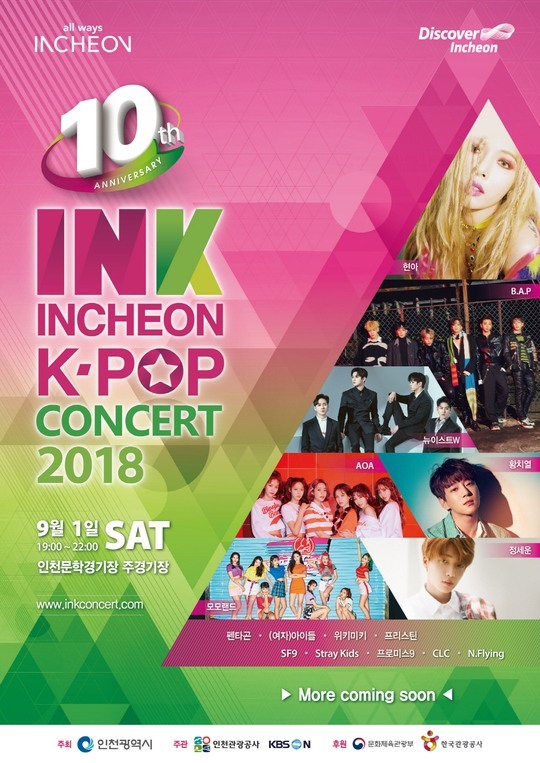 HyunA and E’Dawn will not attend the “Incheon K-pop Concert 2018” slated for September, according to the event’s organizers. In a statement released on the event’s official website, the organizers apologized to fans and said some changes have been made to the lineup for this year’s INK concert, citing internal reasons within Cube Entertainment, the singers’ agency. In addition to HyunA, and E’Dawn, Yan An, another member of the boy band Pentagon, will also skip the event, while girl group Pristin will be replaced by Pristin V, a subunit consisting of five members. The INK concert is the latest in a series of events that HyunA and E’Dawn pulled out of following reports that the two have been dating for over two years. Triple H consisting of HyunA, E’Dawn and Hui has also pulled the plug on all media appearances since the dating news broke.